Happy Thursday Everyone! 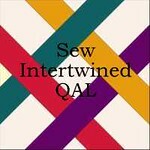 Jenna has our first official sewing tutorial for the Sew Intertwined QAL up on her blog today! Jenna will be showing everyone how to do the Dresden Plate for the center of the quilt. Here’s a peak at how mine turned out – I would show you more but I don’t want to reveal my whole top yet – in good time I promise. Head on over and as you start getting your blocks completed start uploading them to the flickr group! I can’t wait to oooh and aaaah over them all!!! This post is sponsored by Contemporary Cloth – who provided me with the stunning Stockholm line for Robert Kaufman to make my quilt top. 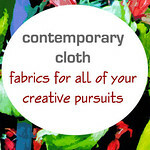 This entry was posted in Contemporary Cloth, Robert Kaufman, Sew Intertwined QAL, SewHappyGeek. Bookmark the permalink. Looks great! I have to make my final fabric selections. That is just gorgeous! How you manage to do all this, I don’t know. 🙂 You and Anne have a wonderful day, OK? Hugs! Looks beautiful Melissa!! Now to decide what fabrics to use!